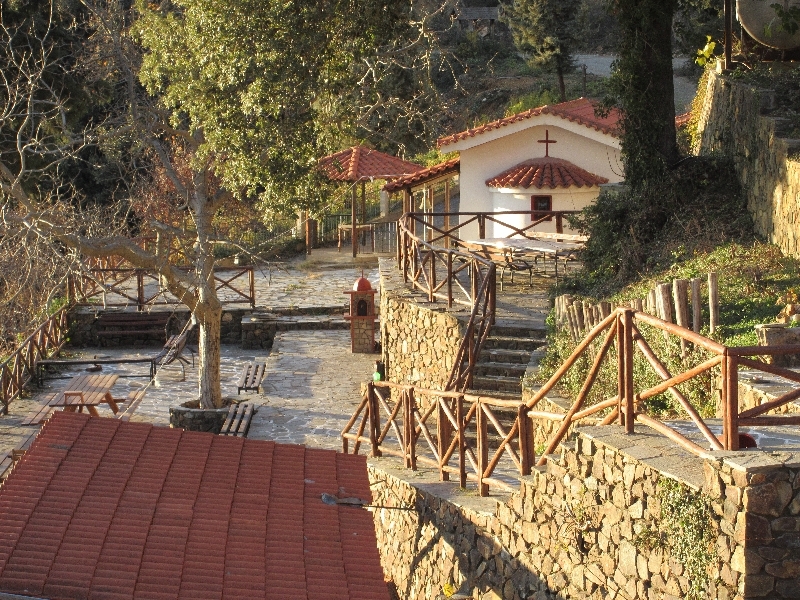 The eastern Halkidiki is the ultimate pilgrimage destination worldwide: between Mount Athos, the traditional Mantemochoria and the Aristotelian Mountain is the only Greek region that developed the religious element, which decisively “shapes” the lifestyle and phenomena throughout the range of ” third leg “of Chalkidiki. 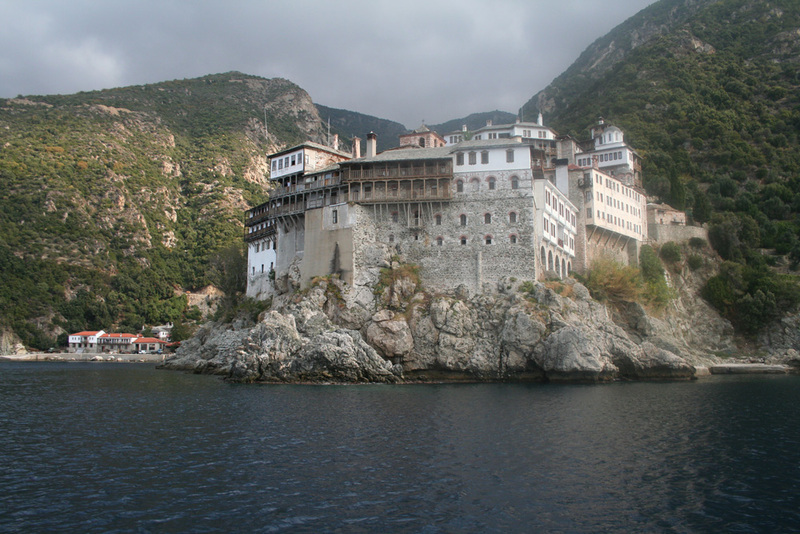 Indeed, from Arnaia to the southern tip of Mount Athos, is synthesized a number of pilgrimage routes that highlight dozens pilgrimage sites and sanctuaries – in and out of Mount Athos. These routes include extremely important pilgrimage “stations” and create countless combination ‘packages’ pilgrimage tours. 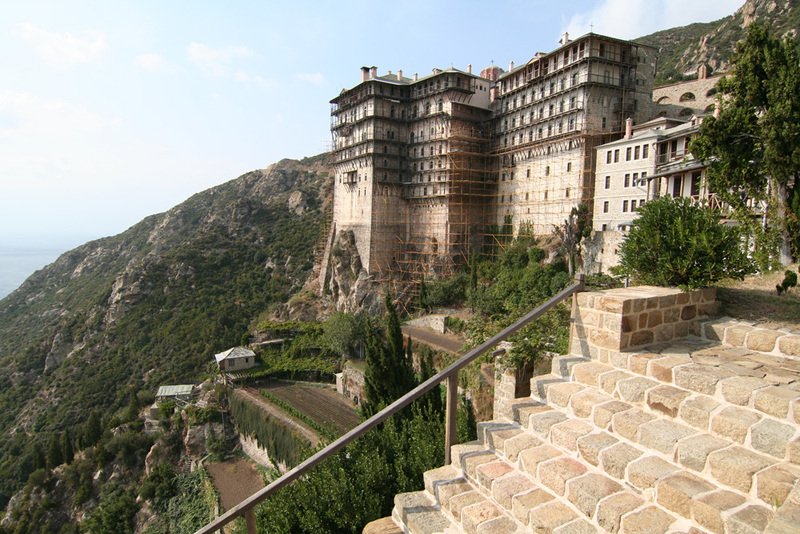 Experience a unique religious experience visiting Mt Athos, which is a self-governed monastic state (country within a country), that automatically makes the destination a pilgrimage of world importance.The peninsula has 2.200 monks and 20 monasteries of Byzantine architecture, as well as 12 cloisters and 800 cells. Every year a million visitors marvel at the cradle of Orthodox Christianity which for over a thousand years lives under the rules of byzantine times. 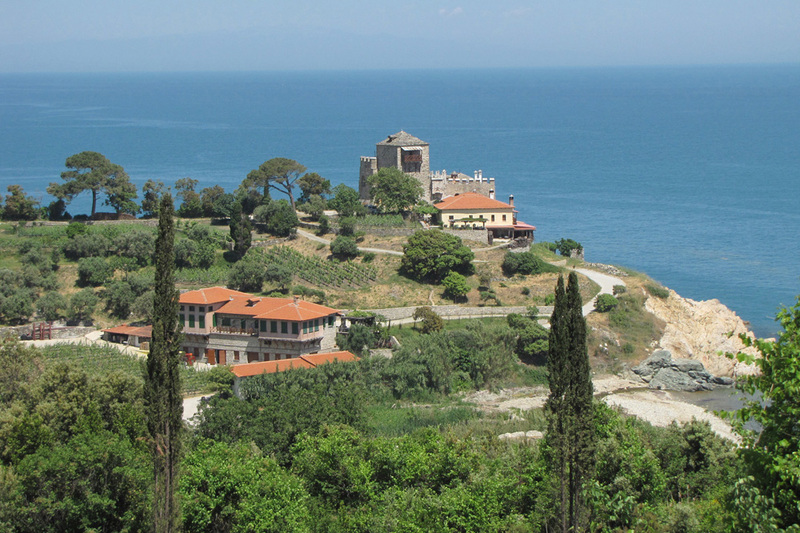 Mt Athos is a large museum of byzantine and post-byzantine art. Murals, rich libraries, mosaics, priceless artworks, functional utensils and relics are being kept in the monasteries and make your visit a one-of-a-kind religious experience. Around the area there are numerous religious monuments that attract anually thousands of visitors. Riding the cruiseships Capetan Fotis & Ioanna of Athos Sea Cruises (bookings at 0030 2377071370 & 0030 2377071606), which sail away daily at 10:30 and 13:30. From the ships you will see all the monasteries of the western and southwestern peninsula, with translations in all languages. The cruise lasts 4 hours. Learn more and book a cruise! 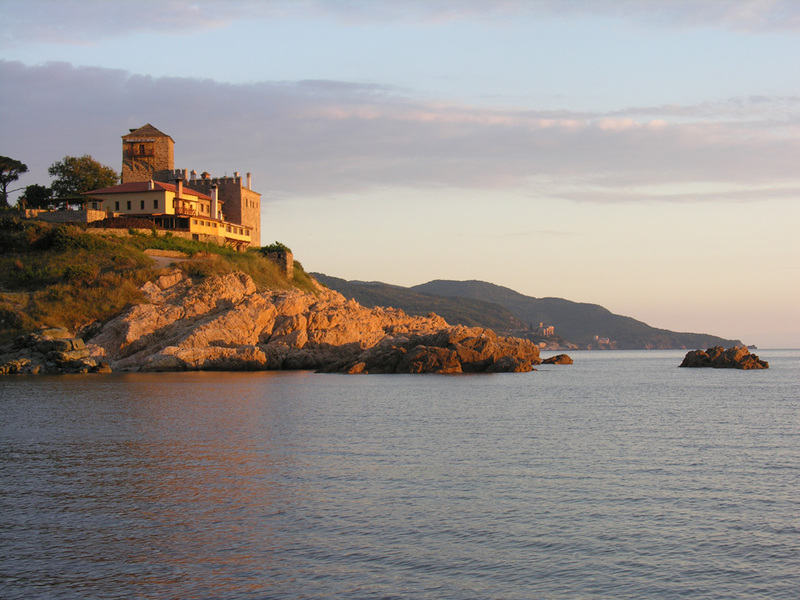 To visit Mt Athos, you have to plan in advance the exact date of entrance. 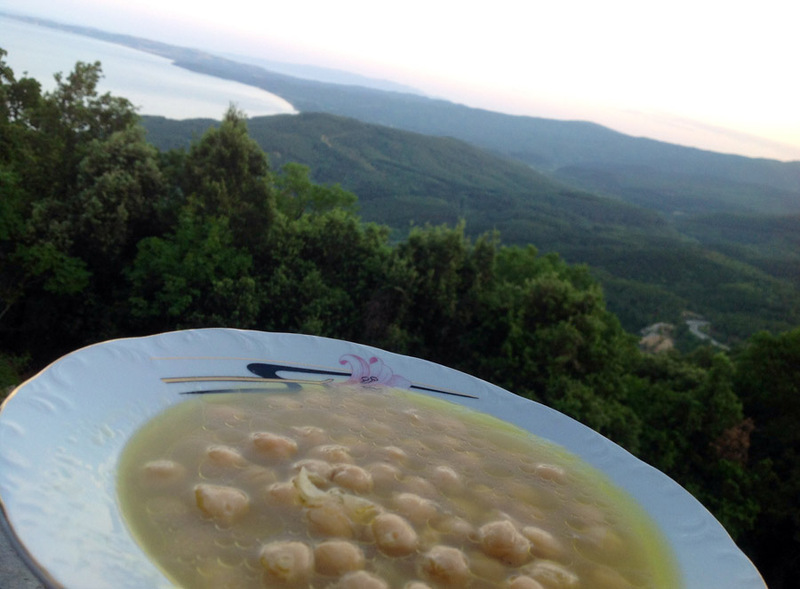 Afterwards you have to contact the Office of Mt Athos Pilgrims (Egnatia 109 – Nedelkou Building – 54635 Thessaloniki, tel. 0030 2310252575, fax 0030 2310222424, e-mail: piligrimsbureau@c-lab.gr). You will provide the following: Name, father name, date of birth, ID or passport number, date of issue and issuing autority, and after your stay has been issued, the monasteries of your choice will be contacted with regards to your stay. You also have to contact Mt Athos Lines (tel. 0030 2377021041) to book a seat on the ship. Only 110 visitors (100 greeks and 10 foreigners) are allowed daily. On the day of your departure, you have to pick up your admittance of stay from the Office of Mt Athos Pilgrims in Ouranoupolis (with the showing of an ID or passport and 35 euros), and also pick up your ship ticket from Mt Athos Lines. Departure from Ouranoupolis for the port of Daphni is at 9:45 daily. The ship arrives at Daphni at around 12 noon. From there, you can take the bus to Karies, the capital of Mt Athos, and then follow your schedule by car. An alternate way is to take the ship from the port of Daphni for the southwestern part of the peninsula (Simonos Petra, Grigoriou, Dionisiou, Ag. Pavlou and skiti Ag Annis). 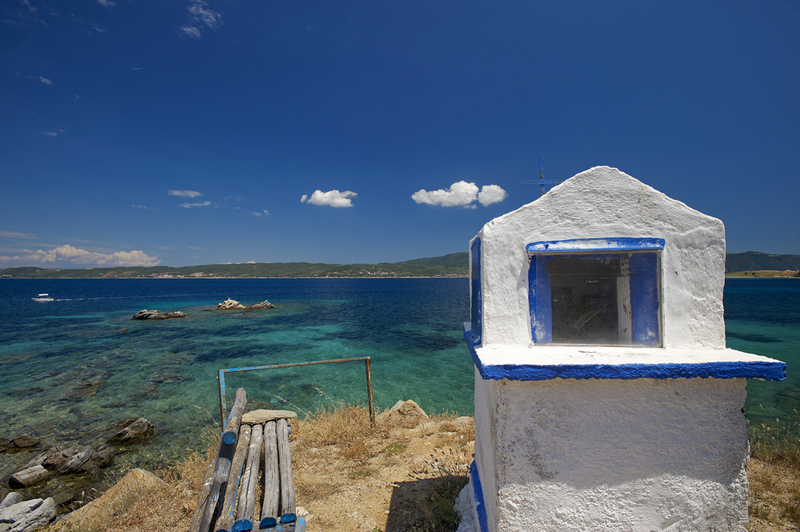 You can also travel via small buses that belong to the Office of Mt Athos cars in Karies (tel. 0030 2377023266, fax 0030 2377023879). If you wish to visit directly the monasteries of the south, you can depart Ouranoupolis at 6:30, via ship Agia Anna, after you let the Mt Athos Pilgrims know in advancem so that your admittance of stay can be given to the ship’s captain, who will then give it to you.Also, pilgrims with a special admittance of stay (invitation), can only stay in the monastery which invited them. Cars and motorcycles are forbidden. 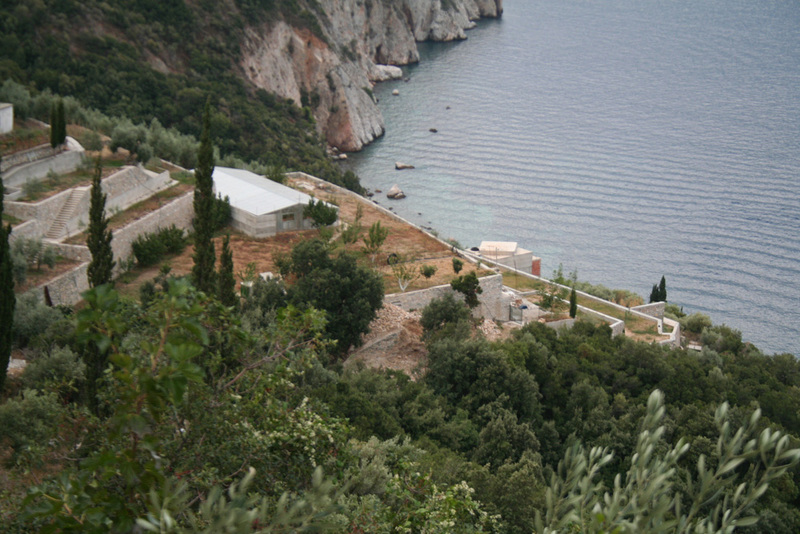 Apart from Mount Athos, in the area there are numerous of other religious monuments as well, which for the last centuries have become pilgrimage destinations, attracting every year thousands of believers: The Holy Shrine of Megali Panagia, the Monastery of Annunciation in Olympiada, the Monastery of Cosmas of Aetolia in Arnea, the Holy Cathedral of St Stephan in Arnea, the early Christian basilica at the castle of Ierissos, the Zigou Monastery in Ouranoupoli, the byzantine tower in Gomati, the Metohi of Hilandari, Zoodochos Pigi in Ierissos, the Holy Shrine of Virgin Mary the Spiliotissa in Stageira, St Nikolaos of the Mountain in the area of Stratoni. On the edge of a gorge of Stratoniki mountain just below the peaks of Argyrolofou, the church of St. Nicholas of the mountain stands. From that dominant position, it oversees a beautiful area, which is dominated by two colors, the green of the forest, almost up to the waves and the blue of the bay of Ierissos. In the horizon to the southeast, presents the rugged Athos, the Perivolaki of Panagia, with its twenty monasteries. But, why St. Nicholas of the mountain? Will the visitor wonder. The churches of St. Nicholas were usually built near the sea, but the picture of our holy person found in the hollows of old oak, in the place where the memorable first old church, in the gorge, since then named the gorge of St. Nicholas. So it happened. The old church was built in a level higher than the current one. It was a single-nave basilica, a picturesque church which was loved by the local people. In central shrine the old picture is resting, full of offerings of the faithful. The image has dimensions of 70 * 80 and depicting St. Nicholas with the priestly outfit. In the left hand he holds the bible and with his right hand he blesses. The saint occurs gaunt, with a few sparse white beard. The look is pointing to the right and does not look directly at the pilgrims. Many are the miracles connected with the picture and the Church of St. Nicholas in general. 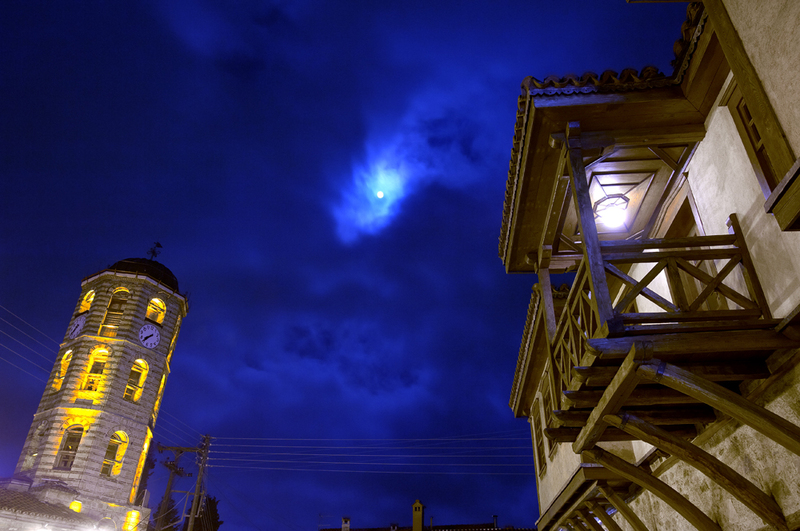 There is no family in Stratoniki and Stratoni villages in general, but also from more distant areas, that cannot remember some beneficence or miracles, coming from the St. Nicholas of the mountain. In 1945, a great fire burnt all the mountains up to the sea. Only the church of St. Nicholas – in Divine Will – escaped the horrific fire, when the last moment the direction of the wind changed. Remarkable is the miracle made by St. Nicholas in favour of a turk in the region before the war, which saved him when shattered in deep mountain ravines. The turk Arif baptized Nikolaos, from gratitude to the saint. In the past, there was a spring with plenty of cool water, which in our days has unfortunately lost. Here lived the guardian of the temple. Great reputation of a virtuous person had uncle Nicholas, who for many years served the church. The two large cypress trees, on the edge of the court, marks the tombs of two children of a wealthy Italian, who died in Isvoro in early 19th century by epidemic. In modern times the two story guesthouse for pilgrims was built. Unfortunately in the 1990s the old church of the holy was demolished and the present church took position its place in 1996, which is smaller than the old one. Locals though were tied to the old church, loved also the new, because it is the same grace of the St. Nicolas everywhere. To that church pilgrims devoutly arrive every day to worship, to request the assistance of the St. Nicolas and spend the day in a cool environment. When they leave, they feel completely different, renovated in spirit from their contact with the divine and nature. The church of St. Nicholas of the mountain celebrates on the 20th May, the day of exhumation and transfer of his remains in ossuary. The road in the picture below is the 15th km from Ierissos to Stavros and the arrow shows the way to the hermitage of St. Nickolaos.